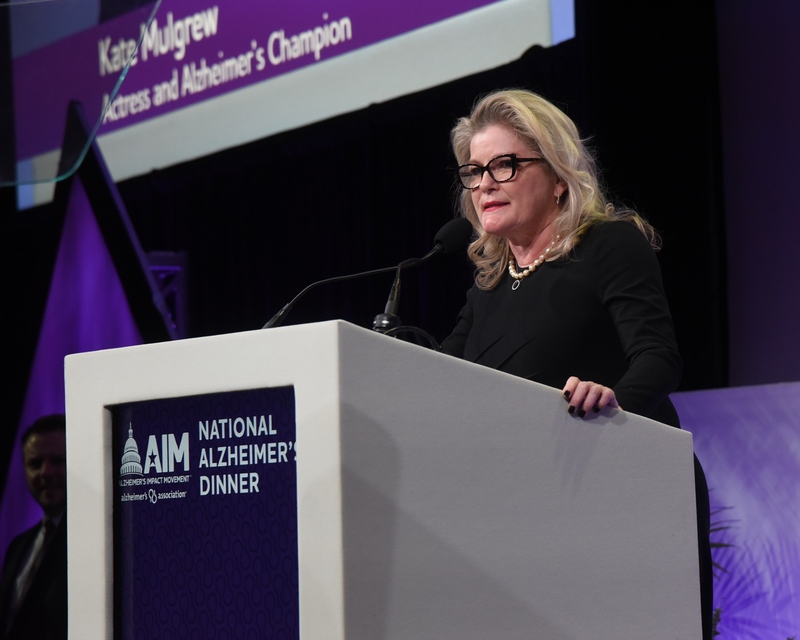 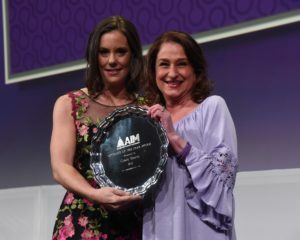 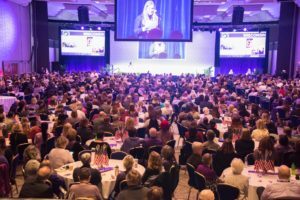 More than 1,100 Alzheimer’s Association advocates, joined by policymakers, journalists and entertainers — including actresses and celebrity champions Ashley Williams and Kate Mulgrew — convened in DC this week to advance research, care and support around the disease, and honor its champions. At the National Alzheimer’s Dinner, April 1st, at the Marriott Wardman Park, Congressman Frank Pallone (D-NJ) received the Alzheimer’s Impact Movement (AIM) Humanitarian Award. Political analyst and Editor/Publisher of The Cook Political Report, Charlie Cook, was on hand, in addition to NIH NIA Director Richard Hodes, and a number of Senators and Representatives. Williams served as emcee for the dinner, and Mulgrew provided the keynote address, encouraging a $350 million increase for research funding at the National Institutes of Health (NIH) on Alzheimer’s disease for FY 2020, and support for critical bipartisan legislation that addresses Alzheimer’s as a public health crisis.